The timing of his retirement isn’t too surprising as his wife, Kate Middleton gave birth to the couples’ first child, Prince George, in July. William was said to have realized that he couldn’t keep running off to save the world and risking his own safety now that he has family responsibilities. William is going to take a year off to transition back into normal life as well as his new life as a father. It’s interesting, we heard months ago that Queen Elizabeth was toying with the idea of abdicating and handing the crown to William next summer and this plan certainly would fall into line with that! He will spend the year completing his royal duties, becoming comfortable in his role of family man and by the time next summer rolls around he will likely be mentally prepared to take on more royal duties. Do you think that the Queen will break protocol to name William and Kate as the next king and queen? For a while Elizabeth was handing some responsibilities to Prince Charles and it looked like she was preparing to pass the proverbial torch to her son as would be expected, but that seemed to come to an abrupt halt. 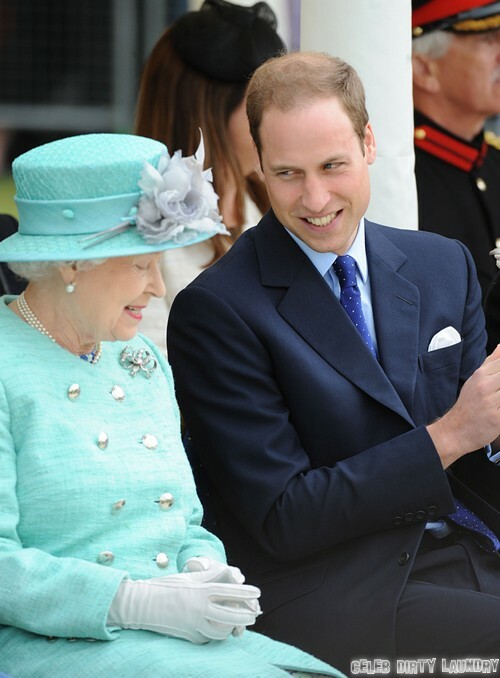 Charles may be her first born but Prince William is the one who is respected by the British people and the one who will follow the lead set by Elizabeth don’t you think? Could this be the reason cruel Camilla Parker-Bowles is said to be planning to divorce Charles? Tell us your thoughts in the comments below!